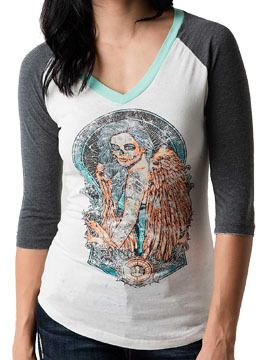 Secret Artist Skull Angel womens 3/4 sleeve v-neck raglan t-shirt features a large hand drawn image of a tattooed woman with large feather angel wings with sugar skull motif on her face. Off white raglan shirt features heather grey sleeves and light blue collar and side seams. 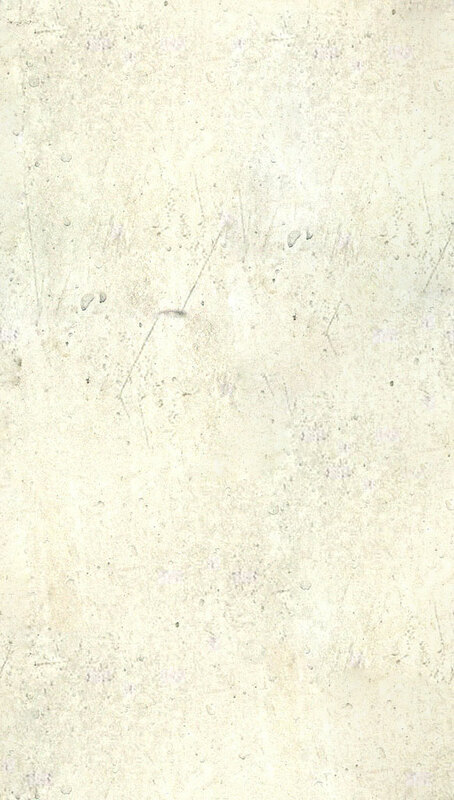 Secret Artist is produced by Affliction and features artwork created by emerging and established artists. 50% cotton 50% polyester, light weight, slim fit. Garment dyed with silicon wash for soft feel. Color: off white, blue and heather grey sleeves.